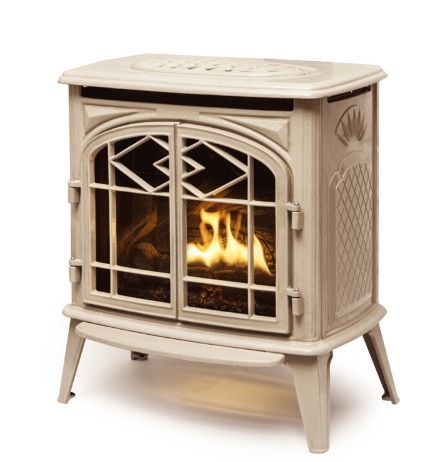 The Trenton cast iron freestanding gas stove combines the traditional design with today’s modern gas technology. 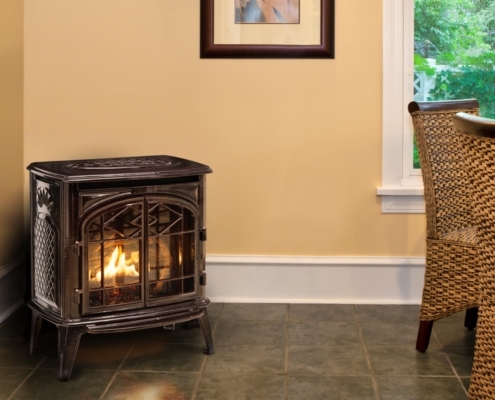 Built with heavy cast iron to retain and evenly distribute heat from the top and sides of the stove, the Trenton provides even, constant heat throughout the room and decorative doors to swing open to reveal an unobstructed window of full, rich flames. The timeless cast iron elegance of the Trenton Classic is available in two traditional porcelain enamel finishes: Antique White and Majolica Brown. 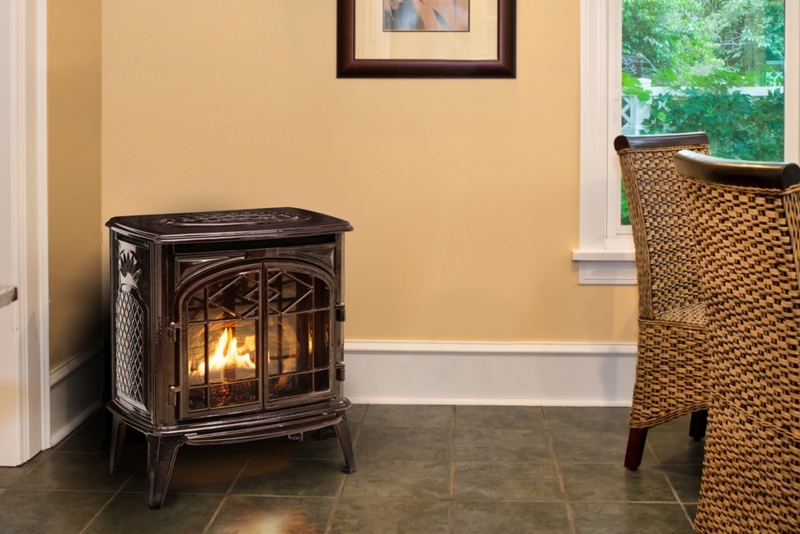 Designed to heat small to medium spaces, the Trenton Classic’s decorative doors swing open to reveal an unobstructed window of full, rich flames over stacked logs across the backdrop of lustrous black porcelain enamel interior panels.